Making a dog part of your family can be a wonderful thing that brings joy to both you and your canine friend. 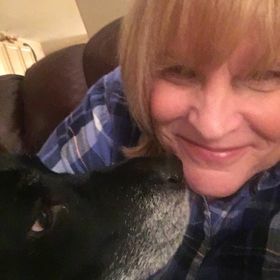 Although dogs are fun, lovable creatures, you do have some legal responsibilities regarding your pet and how it interacts with the world outside. Failure to meet these responsibilities can lead to lawsuit and even loss of the dog itself. We’ll take you through some of the basics regarding the legalities of dog ownership so that you can provide proper and legal care for your pet. If your dog goes outside to do its business, cleaning up after it is just part of being a responsible pet owner. You can’t really determine where your dog will go, and if it chooses a nearby yard or a public path while you’re on a walk, you should be prepared to clean up after it. In many cities, there are statutes about picking up dog waste, and penalties for those who don’t. Being neglectful in this regard could net you a hefty fine. Neighbors can also file complaints against your pet if it regularly leaves waste in their yard. Dog waste is highly acidic and damaging to plants, which means that you may have to pay your neighbor for damages if they press charges. You are responsible for your dog’s behavior when it is out in public with you. This means that you could be held liable for any damage your dog causes to public or private property, or if it happens to bite someone and cause an injury. Either of these things can fall under civil liability, and a qualified personal injury attorney can help you assess your options if this happens. Dog bites are taken seriously by courts and, and if you don’t take the appropriate steps to prevent it, your dog has the potential of being put down as a result. Be aware of your dog’s temperament in all atmospheres, as well as their habits to prevent a lawsuit being filed against you and your pet. It should go without saying, but neglecting your doggy’s needs is not just irresponsible as a pet owner. In most cases, you can be held criminally liable for neglect if you are not seeing to your dog’s basic food or shelter needs. If this is happening and the proper authorities discover it, they may remove the dog from the home indefinitely, fine you for your behavior, or both depending on the state. Note that all states make it illegal to neglect your pet, and some states go further by including vet care. Neglect is considered a form of animal cruelty, and in some states can result in you being banned from owning another pet for years after or even permanently. 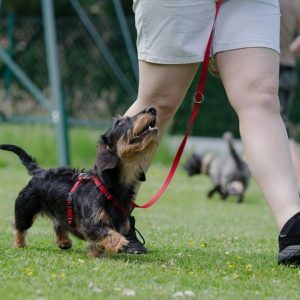 Many areas have leash laws regarding how you keep control of your dog in public. However, these laws are often ignored by dog owners and not enforced by the proper authorities. It’s a good idea to observe these laws even if others around you do not. Even if your dog is normally gentle, a public space or other dogs could set it off unexpectedly, causing injury or damage for which you would be liable. If your dog causes damage to property or hurts someone while not on a leash where leashes are required, it will be held against you in the resulting case. Being a responsible pet owner is essential to your dog’s happiness and wellbeing, and is essential to ensure that you are compliant with the law. You may not be aware of all the “fine print” that comes with caring for a dog, but that won’t protect you if you are brought to court for breaking it. Knowing some of the most common responsibilities here can help you avoid problems for yourself and your furry friend.